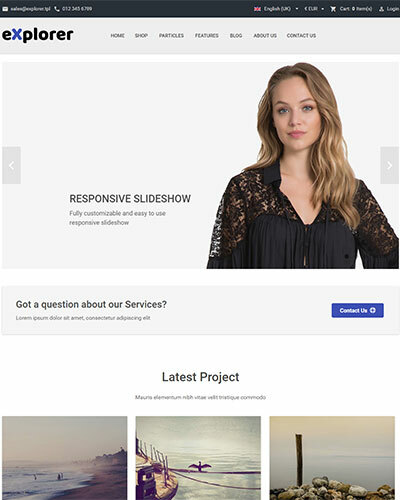 Build your beautiful website with our Gantry 5 powered Joomla Templates. Drag & drop layout, 200+ blocks with 40+ Particles and other incredible features and functionality make it easy to make your website fit your needs from an online store, a personal or corporate website, or something more special. RcaTheme and its products are developed and supported by passionate web developers with 10+ years of experience. Our goal is to provide you with easy to use and user friendly themes for your website. We listen to our customers to make our products the best they can be. 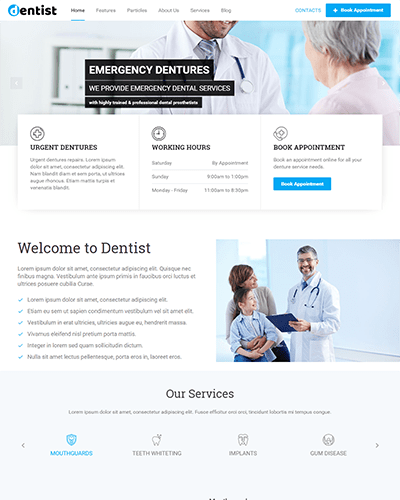 Dentist is our recent released theme available for both Joomla and wordpress. Designed for Doctors, Clinics, Medical Service providers, Professionals or Agencies. It has fully customizable online Booking form which you could customize with unlimited form fields and others. It also has all necessary inbuilt tools for all of your other pages. We do our best to release updated, bug-free products, but when we don't, our professional support team is ready to assist you with anything. Got a configuration issue, found bug, or need help creating your website? We're here for you. Join our club and instantly get access to all available themes and their particles. You can download future updates and the latest themes within your membership period. Join with confidence with our 7 days money back guarantee.